Yolande C. Julien was called to the Bar of England and Wales in 2003. She joined Glinton Sweeting O’Brien as an associate in 2007, after gaining valuable experience at two local law firms. In 2015 Yolande was appointed as a partner of GSO. Yolande is versed in all aspects of residential and commercial property sales and financing transactions. She also advises clients on foreign direct investment projects and has developed expertise in the fields of immigration, specifically short/long term work permits applications and permanent/annual residency applications; and probate law, administering both international and local estates and resealing estates. 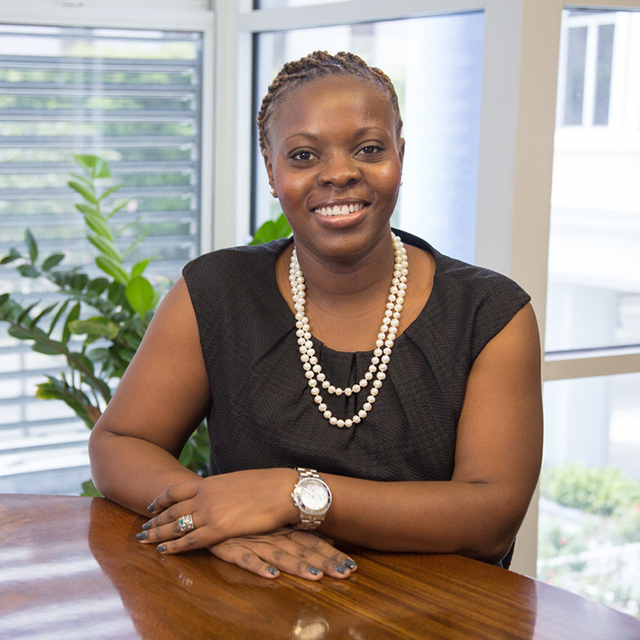 With the recent introduction of Value Added Tax in the Bahamas, Yolande is one member of the firm who advises clients on the intricacies of this new legislation. She has and continues to represent many international companies in their bid to operate local business operations/branches in The Bahamas and obtains the requisite approvals from the various government departments in order for the companies to operate legally in the Bahamas. Most recently, Yolande represented a corporate borrower in a multi- jurisdictional financing and corporate restructuring transaction. Yolande holds an LLB from Queen Mary, University of London, where she graduated with honours, and completed the bar vocational course at BPP Law School in London, England. Yolande is passionate about helping underprivileged children in The Bahamas. She strives to instil in her daughter the importance of giving back to the community and doing charitable work. She recently donated gifts to the Princess Margaret Hospital’s children’s ward in celebration of her 5th birthday. Yolande also takes part in breast cancer awareness initiatives and donates her time and supplies to various charities dear to her heart. We are a progressive, energetic firm with a dynamic team of attorneys and staff dedicated to providing superior legal services to our clients. Copyright © GSO Legal 2018. All Rights Reserved.